Your wedding day should be everything you dreamed of and more. Naturally though wedding budgets have their limitations, so it’s always useful to think of ways to be more creative with your finances. If you aren’t fixated on having a summer wedding, then look at alternative times of the year to get married. Peak season tends to fall between May and September (in the UK), so opting for a wedding in January or February, for instance, is likely to save you thousands in costs. As an added bonus, you’ll be one of the first weddings of the year, before friends are fatigued by wedding season! You can also find lots of great deals and offers, or late space deals for dates that have even been cancelled at the last minute, or are in off season and a discount is being offered. Which are the cheapest months to get married? January, March, April and November tend be cheaper as these are off season months. If you decide to marry on a week day, you’re in good company; many Royals prefer to marry on a Friday. You may find that you can save thousands by simply moving your wedding date from a Saturday to a Thursday, Friday or even Sunday. 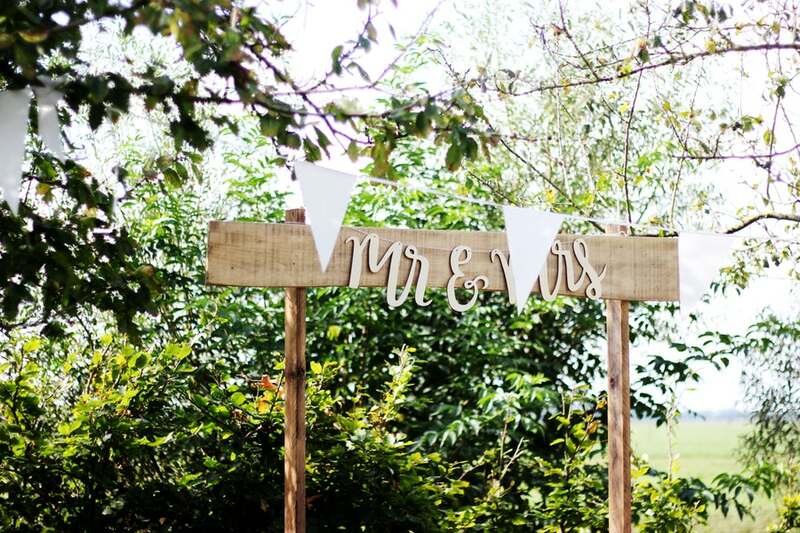 Keep in mind during your wedding planning, that if you decide to marry on a Thursday or Friday, you can always extend the celebrations into the weekend, with a BBQ or party. If you’ve found the wedding venue of your dreams, but can’t afford to book it out all day, see if they offer an hourly rate. If this is an option, you can push your wedding back until later in the day, or invite guests to a local bar or park beforehand, to celebrate elsewhere. Not only will you pay less for the wedding venue hire, but you’ll have to fork out less in food and drink for guests, since it will be a shorter day too. An all-inclusive wedding reception venue can be a smart way of making wedding day savings. There will usually be packages that budget venues offer, allowing you to understand all the costs up-front. This is particularly helpful for couples on a tight wedding budget. Most wedding venues will have a wedding coordinator – speak to them about ways you can cut back on overall costs. Perhaps they have a sound-system that your iPod/iPhone can connect to, saving you from hiring a DJ. They might even have up lighting as an alternative to buying flowers. Look into all the options that might help you make some serious savings. There’s savings to be made by containing your wedding at one venue. In doing so, you can save money on transportation costs, flowers and much more. Since this means you will be spending more money at your wedding venue, they may even be willing to throw in a few extras for you too, like a bottle of champagne or discount on meals – it’s always worth asking. In the throes of wedding planning you’ll be looking at numbers of guests. Speak to your preferred wedding venue about cost per head, this will help determine how much you can save by reducing numbers. Cutting back on guests is one of the easiest ways to make savings. However that doesn’t mean they can’t attend – perhaps look at inviting certain friends to the evening reception only. Alcohol plays a huge part of celebrations and it doesn’t come cheap. However, there’s a few ways you can curb costs with a few easy tweaks. Your wedding venue may allow you to bring your own booze for a corkage fee; combine this with a day trip to France for some cost-price bottles of wine. You may also want to swap out champagne for prosecco, the savings on this alone can be a few hundred pounds. Finally, for the evening reception you may also want to review how much money you put behind the bar. Some couples even opt for an ‘honesty box’ where guests can make contributions for drinks they buy, as the saying goes – every little helps! If you’re conscious about your wedding budget, then think about alternative options for a wedding venue. Perhaps your family home has a large back garden for a marquee, or a friend has a large space that they don’t mind you having for the day. Although there’s the added inconvenience of contracting caterers, public toilets and entertainment, the savings may be worth it. Traditional weddings have been usurped by couples putting their own stamp on proceedings in recent years. Because of this, wedding venues can be very accommodating to personal requests and preferences. While traditionally canapes might be served, followed by a wedding breakfast and evening meal or buffet, not all couples chose to do this. Food can be a pricey part of the day, so it’s worth chatting to your wedding coordinator on site to see what alternatives there are. For instance, a ‘help yourself’ buffet might be cheaper than a sit-down wedding breakfast and the evening meal could be substituted for a few canapes. There’s lots of smart ways you can share parts of your wedding day to make savings. Some wedding venues may offer to ‘flower share’ with other wedding parties in the week, to bring down the cost of the flowers and decorations. When you think that a venue might have three weddings over the course of a week, it makes sense that flowers could be reused. Non-traditional wedding venues like barns and breweries may cost less and can add a personal touch to your big day. This can be less time consuming than you think, if you use a wedding venue website that has researched venues in advance, offering you the option to book with ease.